If you would like to take Doctor Who with you where ever you go then this key chain could be perfect for you. This Pocket Pop! 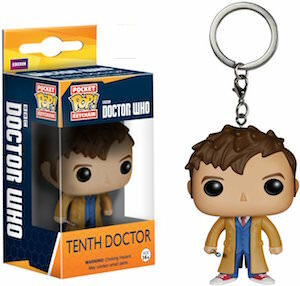 key chain is made by Funko and looks just like the 10th Doctor. The details of the 10th Doctor Who are pretty good, look at his hair and clothes and you know that it is the 10th Doctor and he even brought his Sonic Screwdriver. At 1 1/2 inch this Doctor Who key chain is just the perfect size to live with you keys but it is also great to have the Doctor dangle on things like a backpack or jacket. The 4th Doctor Who was of course an interesting looking Doctor with his hat and his famous scarf. And now you can have this classic Doctor as a key chain. This Pocket Pop! key chain of Doctor Who is 1 1/2 tall and comes with a key ring and clip making it perfect to live with your keys or to use to decorate things like you jacket or backpack. Now you never have to leave the house again without having a Doctor with you. A true fan of the classic Doctor Who will really enjoy owning this. 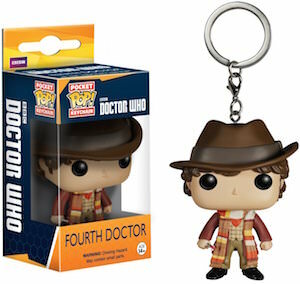 Don’t wait come get your 4th Doctor Who Pocket Pop! Key Chain. Now where ever you go you can bring Doctor Who. OK it may not be the latest revision of the Doctor but if you like Doctor number 11 better then this is what you want. This cute Pocket Pop! key chain looks just like the 11th Doctor complete with bow tie and Sonic Screwdriver. Besides as key chain you can also use this key chain as a zipper pull on a jacket or a bag so that the Doctor can look around and see if something strange is happening in your world. 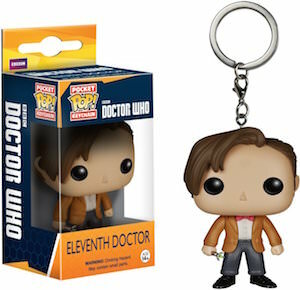 Doctor Who fans come take a closer look at this 11th Doctor Who Pocket Pop! Key Chain. 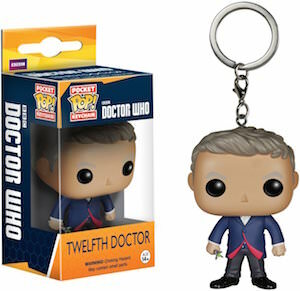 Now you never have to worry about where the Doctor is because now you can have a little 12th Doctor as a key chain. The people from Funko came out with this cute little Doctor Who figurine that looks just like the 12th Doctor complete with his famous red lined coat and Sonic Screwdriver. And this is not just a figurine it is a key chain so your keys can now be guarded by the Doctor himself and besides for keys you can use this key chain for so many other things. Imagine having the 12th Doctor hanging on your backpack or maybe as a zipper pull on your jacket. Now you can have a little Doctor Who with you where ever you go. This plush version of the 11th Doctor is the perfect size to hang on your backpack or live with you keys. And yes this is a Doctor Who key chain. 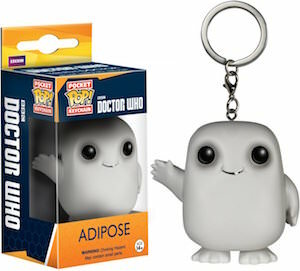 And being plush and cuddly is not the only amazing thing about this Doctor Who key chain. This plush key chain talks and there is even a Sonic Screwdriver sound because of course the Doctor has a plush Sonic Screwdriver with him to. No need to wonder if something went terribly wrong with the Doctor, this is just a toy and you can get one. 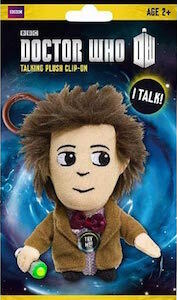 Add some fun to your life with this Doctor Who 11th Doctor Talking Plush Key Chain. Do you want your keys to be deleted? If so then this Cyberman key chain is the perfect place to store your keys. On the key loop you can find a rubber Cyberman but luckily for you there is just the head. 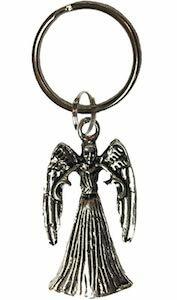 This Doctor Who key chain is just a fun way to store you keys and being reminded of one of Doctor Who enemies. The Cyberman head is about 2 x 3.5 inch and is soft so it won’t break. 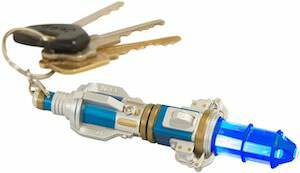 Besides for keys this Doctor Who key chain can also be used for decoration. Just put it on your jacket zipper as a zipper pull or hang it on your backpack just for fun. 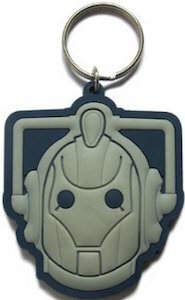 Lets give your keys a home on this Doctor Who Cyberman Key Chain. Why get one Doctor Who key chain when you can have 7? 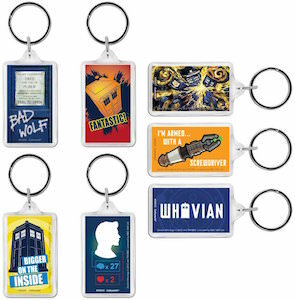 So this set of 7 key chains is the perfect gift for a Doctor Who fan with lots of keys. The key chain set has 7 key chains that are all shaped the same way but show different pictures. You can find the Tardis in many shapes and forms, Bad Wolf and Whovian are there and even the Doctor explained with 27 x the brain power and two hearts and to make it all complete there is also a key chain with a Sonic Screwdriver. And if you don’t have enough keys then why not share some with your friends or use them as decoration / zipper pulls on bags and jackets. You don’t have to choose as you can have this Doctor Who 7 Piece Key Chain Set.